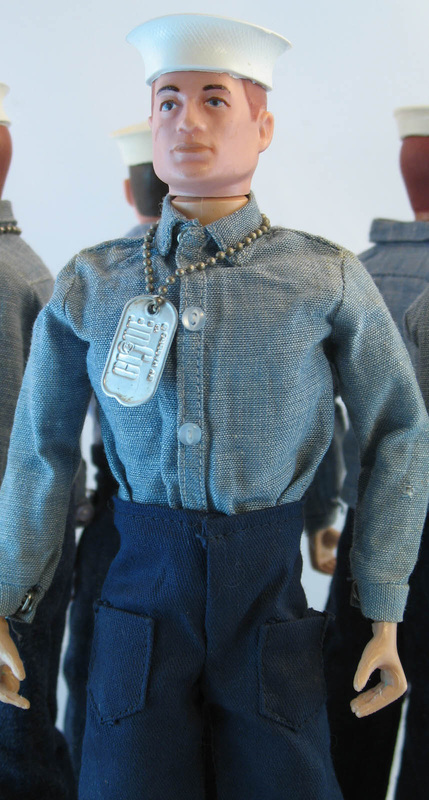 The carded fatigues above were only available in 1964. Images of fatigue shirt (7608) and pants (7609) above courtesy of Vectis Auctions Ltd. 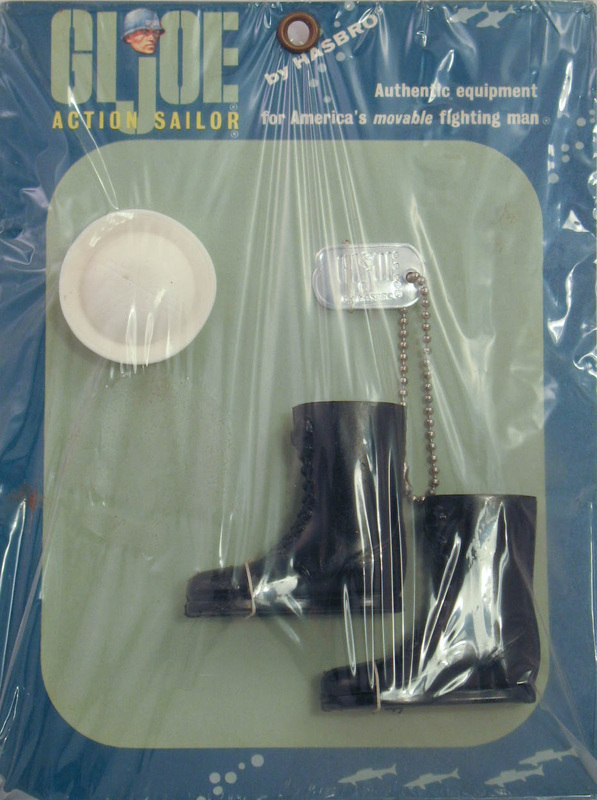 The Navy Basics set (7628) included a variant dog tag. Life Ring (7627), below right. Above left, a (TM) Japan set with no pockets from a TM/R boxed sailor. Above right, a (R) Japan set from a Talking Sailor. 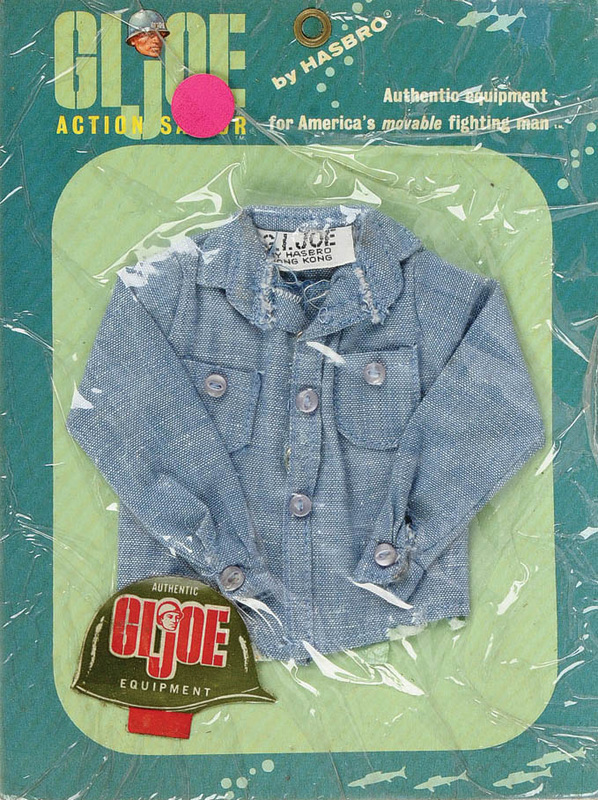 Below left, another (R) Japan set with patch pockets on the untagged pants. 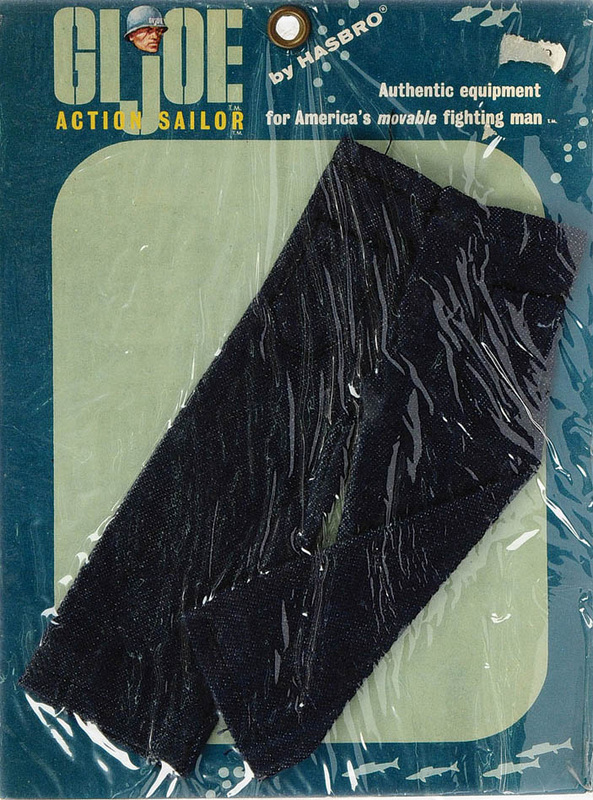 These are later and sometimes show up on Sea Adventurers from 1970. Note the move to blue cotton from denim on the last two. 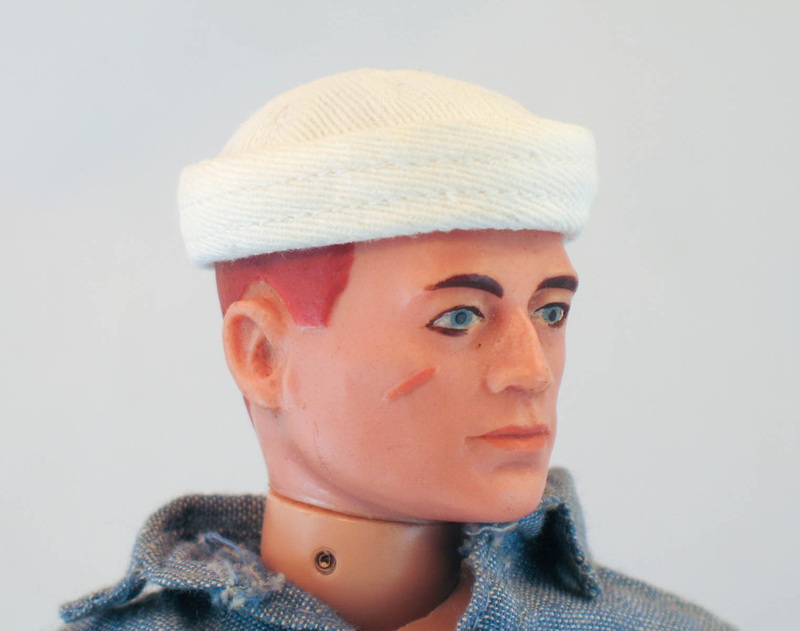 Sailor Caps come in two main types. 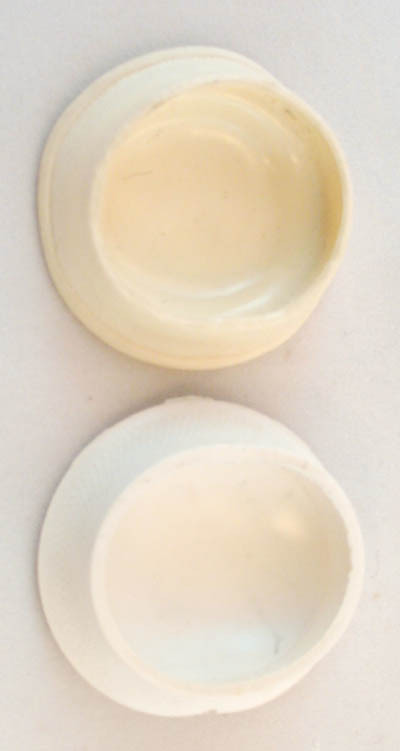 The earlier version shown on top directly below is of rubber and is usually found shrunk and hardened, they can rarely be found still soft. 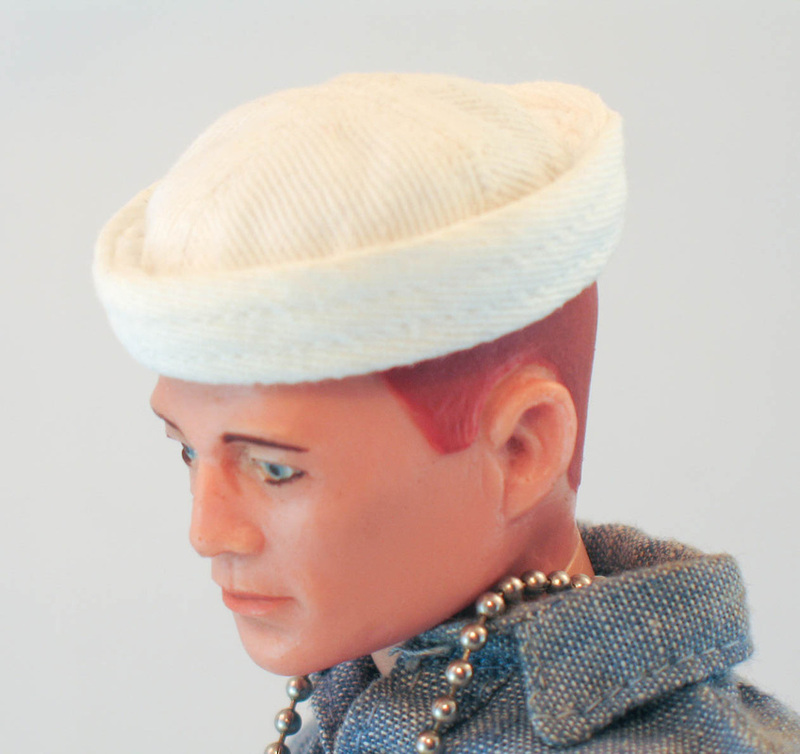 They have three lined of engraved stitching on the top 'seams.' 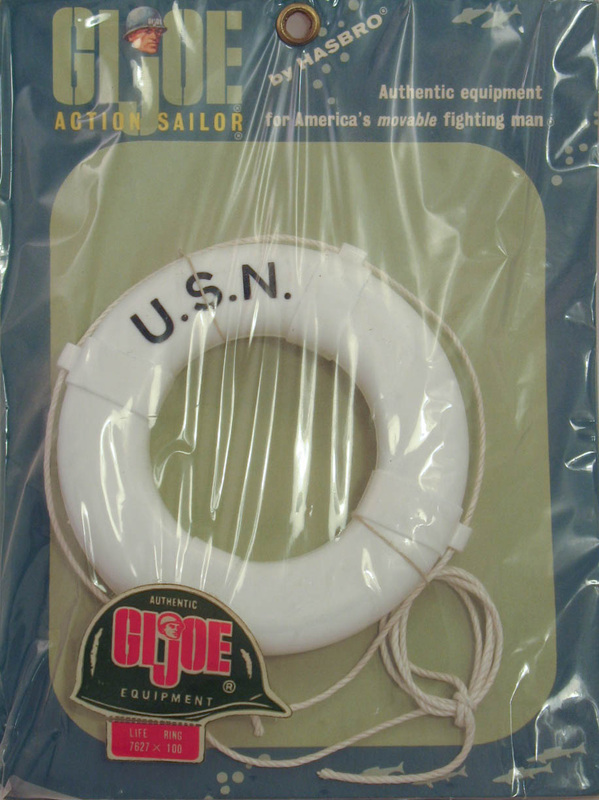 The lower and more common variety is made of a vinyl with raised stitches molded on. 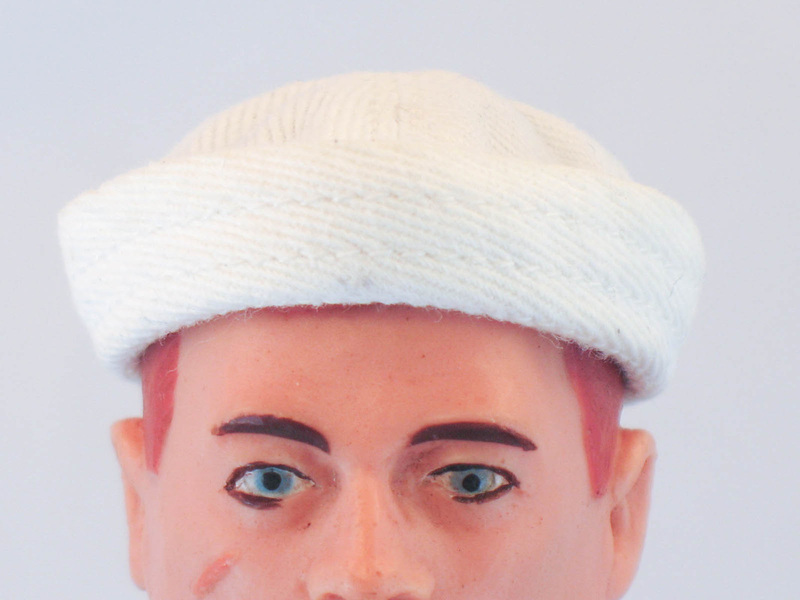 The rarest type is the prototype cloth cap, shown below. This example can best be called a very likely period example as it came without strong provenance and had been cleaned by the previous owner. 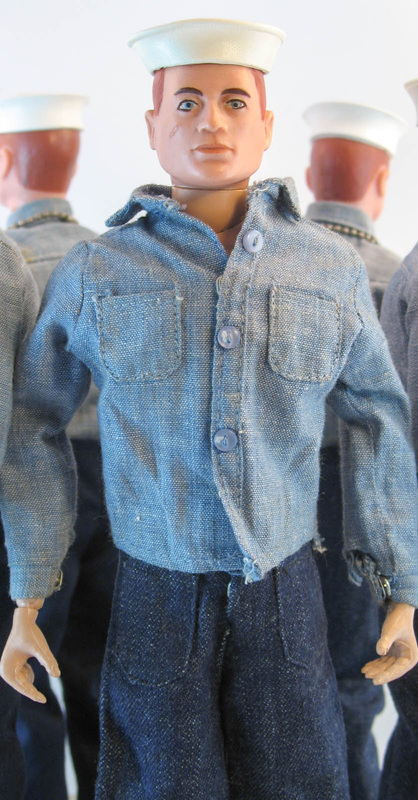 There are a good number of knock offs and reproductions out there, so be careful buying one. If you can share a verified Hasbro example, contact me. 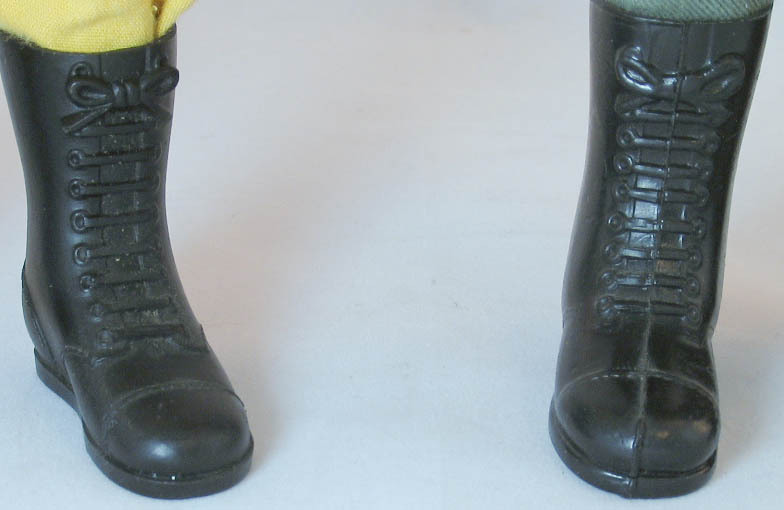 Earliest issue boots are made of rubber and rarely found still soft and flexible (right) as opposed to the standard blow molded boots (far right). More info & images to come.